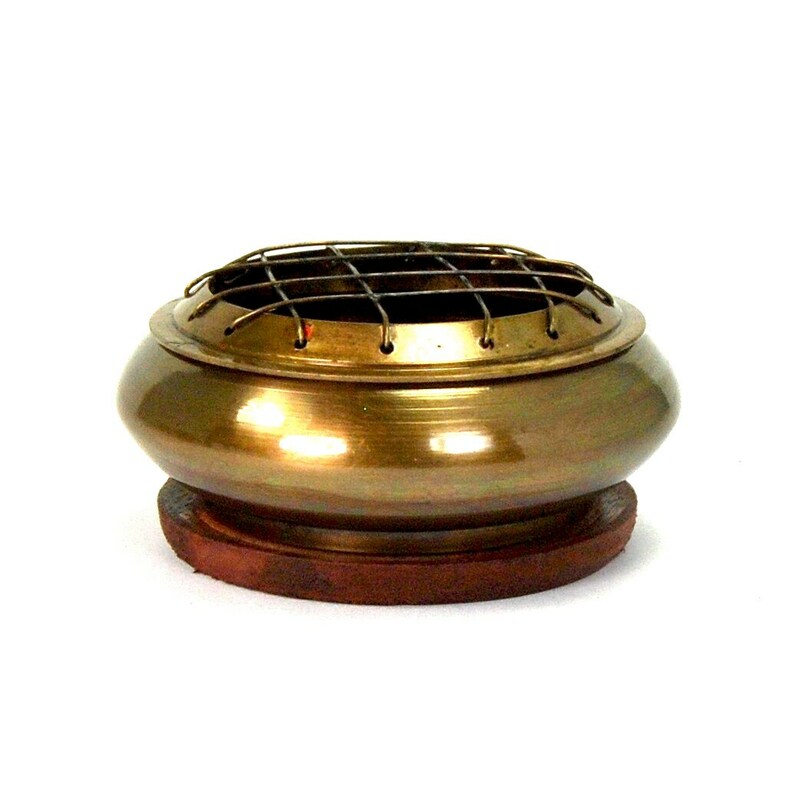 For your consideration is this solid brass incense burner to use with resin incenses. 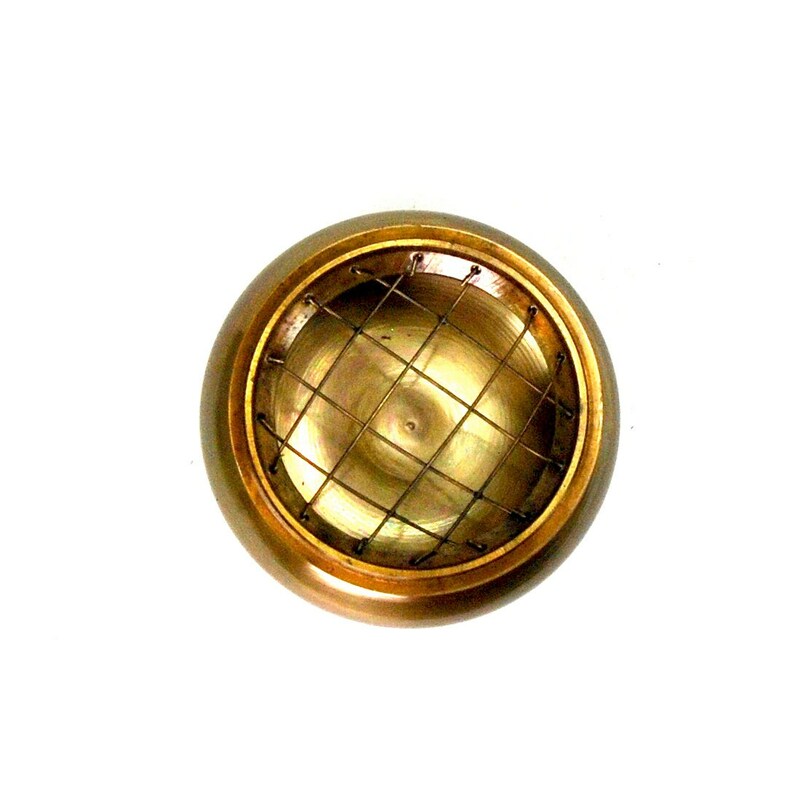 It has a simple elegant design with a brushed finish to the brass that creates a deep honey hue. The top has a metal grill, or frog, that holds the charcoal when you flip it over, so it acts like a bowl, holding the smoldering charcoal above the bowl so air can move freely as the charcoal burns. 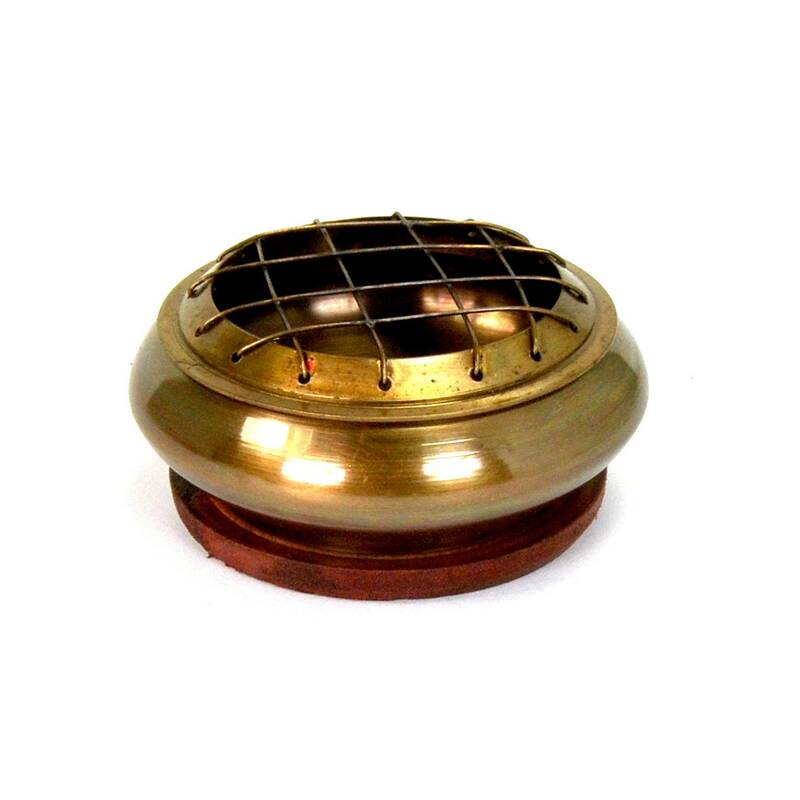 It comes with a wooden stand to act as an insulator, as well as being decorative, because these brass burners tend to get rather hot. NEVER touch them when incense is burning. 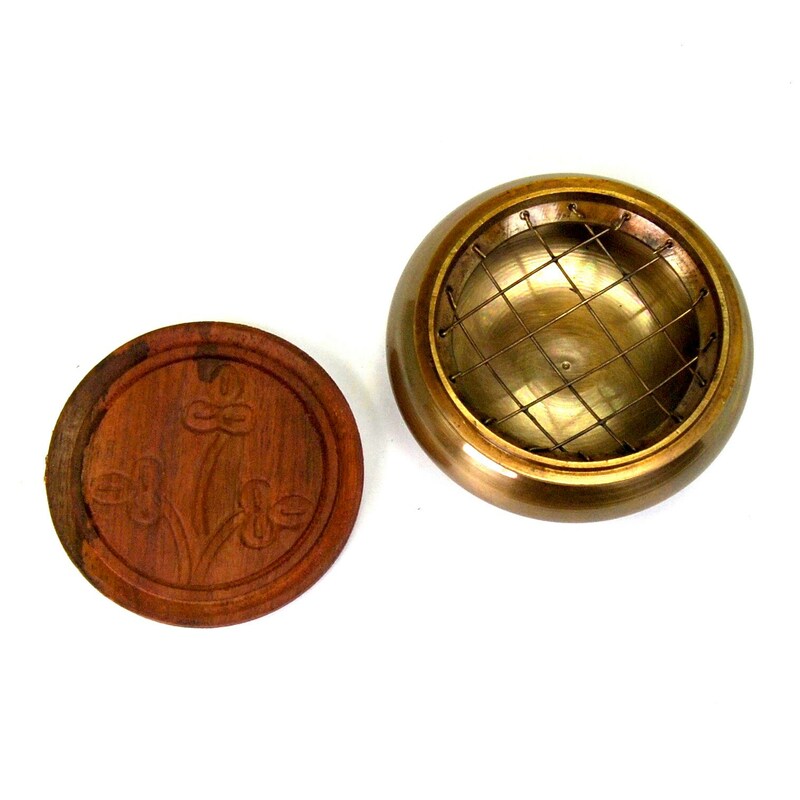 It measures 3 inches in diameter and stands 1.5 inches tall.